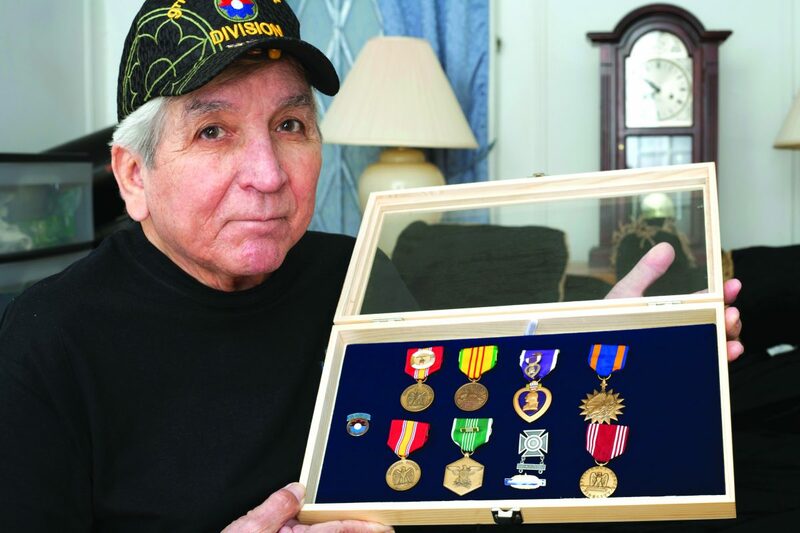 Larry is a 63-year-old veteran who served as a medic in Vietnam for two years. While he is proud of his military service, he prefers not to speak of those days. In 2002, Larry suffered a stroke and many of its effects remain today. He walks with great difficulty and has a wheelchair handy for frequent use. When speaking, he occasionally has to stop to think of the word that he wants to use. Despite all of this, Larry is animated and very friendly to each of our volunteers he meets when they deliver his meals. Larry says that his memory problems and his low income were the reasons he needed Meals on Wheels. For instance, one day he put a pot on the stove and forgot about it until a fire erupted. Luckily he was able to put out the flames before there was any major damage. Click here to keep more veterans like Larry happy, healthy, and independent!